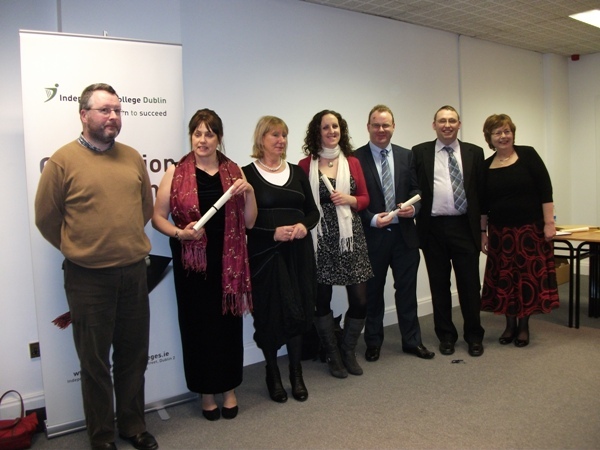 On Wednesday 7th December 2011 APGI held its Annual General Meeting at the iconic new building occupied by the Public Record Office of Northern Ireland (PRONI) in Belfast’s historic Titanic Quarter. The meeting marked the culmination of the Association’s 25th anniversary, celebrating that was founded in Belfast twenty-five years previously, in 1986. The AGM was followed by a reception to which over 100 representatives of various archival and record repositories in Belfast were invited, along with those engaged in genealogical services in Northern Ireland, retired members of and representatives of the North of Ireland Family History Society. The Belfast-based record repositories included PRONI, the General Register Office of Northern Ireland, the Linen Hall Library, the Presbyterian Historical Society and the Wesleyan Historical Society. John McCabe, FAPGI , was involved in professional genealogical research in Belfast from the 1960s, originally working with the Ulster Scot Historical Society (later the Ulster Historical Foundation). Later he became a self-employed genealogist. In 1986 he was one of the prime movers behind the establishment of in Belfast, and he played a central role in encouraging the formation of the Dublin Section, speaking at its first meeting. Later he served for many years on the overall Council of , and as Vice-President. In 1988 he gave the Houston Memorial Lecture at the Ontario Genealogical Society’s annual Seminar. There, he presented information on a detailed list of some 700 mainly Irish families that had settled in the Ottawa Valley by 1829. He had uncovered the list at the Public Record Office (now The National Archives) in Kew, England. It was received at the time as ‘the most important genealogical document on the Ottawa Valley to surface in recent years’. With the permission of Her Majesty’s Stationery Office, it was subsequently published in the Ontario Genealogical Society’s journal, Families, as ‘The McCabe List’. Unearthing hidden genealogical sources such as that list has been the trademark of John McCabe’s career. Though he retired from genealogical work on behalf of clients some years ago, he continues to research the life and career of William Putnam McCabe, a leading United Irishman in 1790s Belfast. Henry McDowell, FAPGI , FIGRS, worked in publishing in London before returning to Ireland in the 1960s to become a full-time genealogist. While in London, he spent many hours at the Society of Genealogists Library. In Ireland he settled in Celbridge, Co. Kildare. He served on the editorial committee of the Irish Genealogist and contributed to the American edition of Burke’s Irish Family Records. He spoke at the XIIIth International Congress of Genealogical and Heraldic Sciences in London in 1976 and at the very first Australasian Genealogical Congress. As well as being a founder member of APGI , he is a longstanding member of AGRA (the Association of Genealogists and Researchers in Archives). He served on the Dublin steering committee of and was President of for 2001-2003. In 1989 he was elected a Fellow of the Irish Genealogical Research Society, and he served as President of the Kildare Archaeological Society for five years, 2000-2004. Henry is a life member of the Society of Genealogists, and his interests also include the Irish Country Furniture Society. APGI will be out in force at the Back to Our Past event at the RDS, Dublin, on the weekend of 21-23 October. Members of will be on hand at Stands 13 & 22, providing free advice on all aspects of genealogical research. In addition, ten members will be among the speakers in the programme of lectures which runs through the weekend. These are Mary Beglan, Steven ffeary-Smyrl, Fiona Fitzsimons, John Grenham, Helen Kelly, Máire Mac Conghail, Brian Mitchell, Nicola Morris, Eileen Ó Dúill and Rosaleen Underwood. 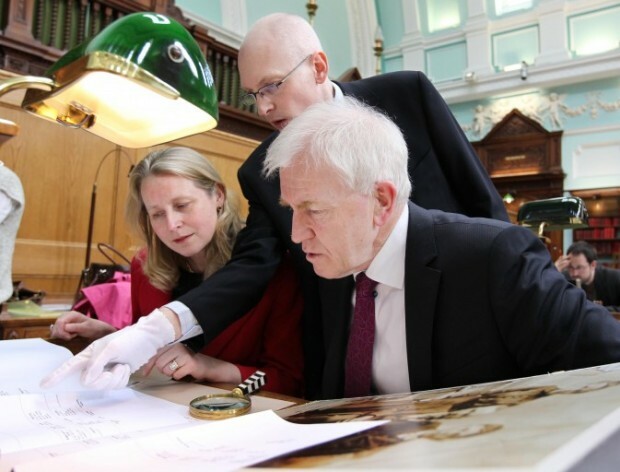 APGI members Nicola Morris and John Grenham are presenting the new RTE programme “The Genealogy Roadshow”. The first series comprises four hour-long episodes, based in Adare Manor, Glenlo Abbey, Slane Castle and Carton House. The show is broadcast on Sunday evenings at 6.30 starting on August 21st. More information, and past episodes, are available on the RTE site. John’s column about the making of the programme is at The Irish Times Irish Ancestors site. APGI member, Fiona Fitzsimons was delighted to have her work acknowledged by President Obama in the speech he made in College Green, Dublin, 23rd May 2011. ‘Eneclann’s method has always been to adopt a collegiate approach to research. Once the president’s visit to Ireland was announced in March of this year, we assembled a team to complete the new research before his arrival. The team included my long-term collaborator Helen Moss, and on this occasion we were joined by colleagues Elizabeth Cuddy, Rachel Murphy, Carmel Gilbride, and Dr. John Gibney. We worked our way through the Registry of Deeds like a plague of locusts’ laughs Fiona. ‘Working from the evidence we found there, we brought in Dr. David Butler of the University of Limerick, and traced church records in Limerick city dating from the early 1700s. We stuck with it, until we exhausted the paper trail’, she concludes ruefully. Prior to the President’s visit Eneclann liaised with the Department of Foreign Affairs. ‘We passed over our research findings, which helped them in the planning of the visit,’ explains Fiona. 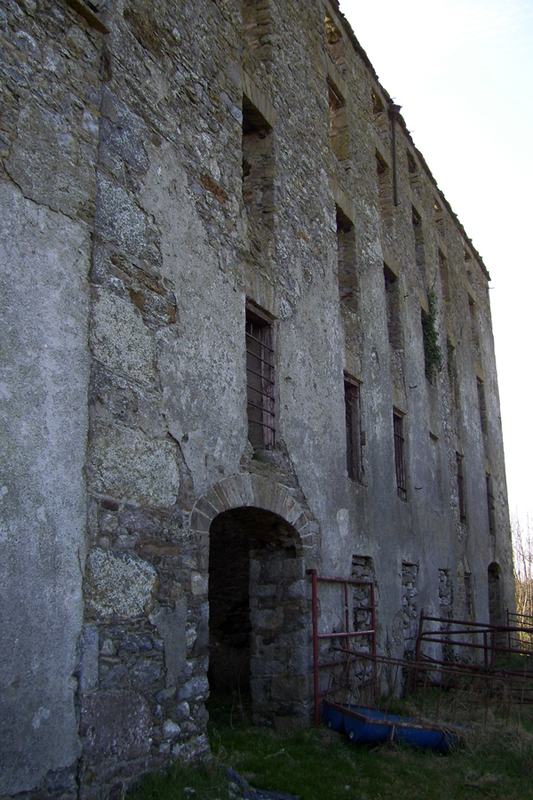 Eneclann’s research had identified the Kearney house in Moneygall in which the President’s direct ancestors lived in between 1800 and 1851, and verified that it was still standing on the main street of Moneygall. As a result, the tour ensured that Obama was shown the house of his ancestors. To coincide with the President’s visit, RTE’s Nationwide programme created a feature on Eneclann’s research into Obama’s Irish Roots, which aired on 20th May. ‘The documentary focused on ‘Obama country’ – the area around Moneygall and Shinrone, where the Kearney family lived between the 1700s and 1851,’ explains Niall Martin, producer of the programme. In the documentary, Eneclann’s researchers found the president’s closest Irish relatives, and documented their exact link to the president. Ironically considering the extensive archival research, Obama’s Irish cousins were found to have farmed the same land from the 1760s down to the present day. 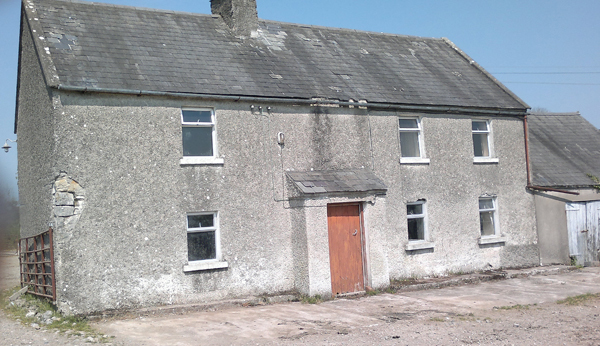 Eneclann researchers were able to identify the Donovan homestead at Ballygurteen, which dated back to the early 1800s, and possibly earlier. This house is almost certainly where Phoebe Donovan, President Obama’s 4x great-grandmother, was raised. They also identified a mill on the outskirts of Shinrone, leased in the 1720s and 30s by president Obama’s Kearney ancestors. The original lease from 1728 is the first evidence of the Kearneys in Shinrone. APGI member John Grenham has just launched an online course in Irish genealogy in conjunction with Irish Times Training. The course comprises 30 hours of tutorials, a free subscription to the Irish TimesIrish Ancestors site, a free subscription to findmypast.ie, a 24 hour pass to The Irish Times Digital Archive and a personal email consultation with a genealogist. It combines a detailed analysis of all the relevant sources with hands-on online research training. We in would like to thank all our friends and colleagues who turned out on 11 May for our first ever table quiz. Over fifty people created a wonderful atmosphere in the comfortable upstairs lounge at the famous Doheny & Nesbitt’s pub in Dublin. Thirteen tables took part and the victors after a close contest were Aideen Ireland, Roy Stanley and Steven ffeary-Smyrl, M. There was a play-off for second place, decided on the age of Earth, as estimated by Professor Brian Cox. 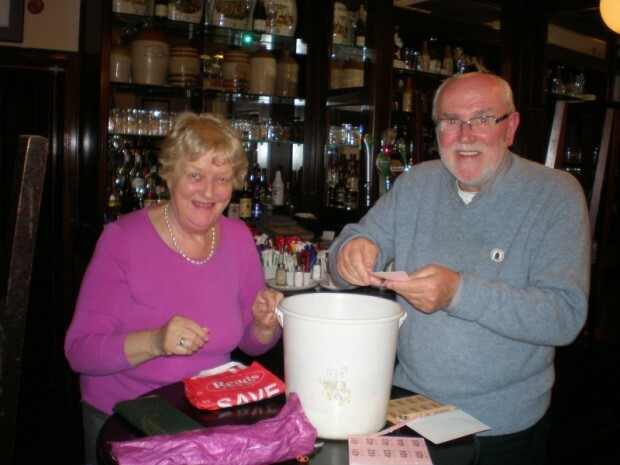 We are most grateful to all those who attended and those who donated prizes for the raffle. We hope all our friends enjoyed the evening. Aiden Feerick B.A. has recently become a member. APGI presents a Table Quiz with a slight genealogical / historical flavour. 8pm sharp, Wed. 11 May 2011 in Doheny & Nesbitts, Lower Baggot Street, Dublin 2. Over before 11 pm to allow to enable people to get the last bus, train or Luas. Tables of 4, €20 per Table. On 31 March the Minister for Heritage, Jimmy Deenihan, TD, confirmed that the Irish Government intends to legislate for the early release of the 1926 Census of the Irish Free State, as reported in the Irish Times. It was fitting that the Minister’s statement was made at the celebration of the 75th anniversary of the Irish Genealogical Research Society (IGRS), the oldest, largest and most prestigious organisation devoted to the study of Irish family history. The campaign for the release of the census has been led by the Council of Irish Genealogical Organisations (CIGO), of which the IGRS and are constituent members. Steven Smyrl, Chairman of the IGRS, and Vice-President of , has been the driving force behind this and many of CIGO’s successful campaigns. APGI member, Rosaleen Underwood, will be giving two genealogy workshops at the Cork City & County Archives as part of the Cork Lifelong Learning Festival on Tuesday 12th April at 6pm and on Wednesday, 13th, at 2.30pm. The presentions will be on Cork-based, national and online resources. Booking essential. 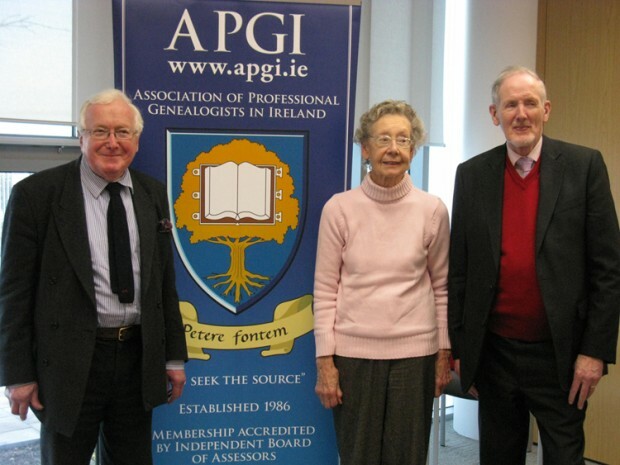 APGI member John Grenham has been appointed to the National Library of Ireland’s Committee on Genealogy and Heraldry for 2011.
Who Do You Think your Are? Live exhibition, Earls Court, London 25 February to 27 February 2011: Eileen M. Ó Dúill, CG, M, will be giving a workshop at the exhibition on Sunday entitled: “Moving From Amateur to Professional: Making the leap”.